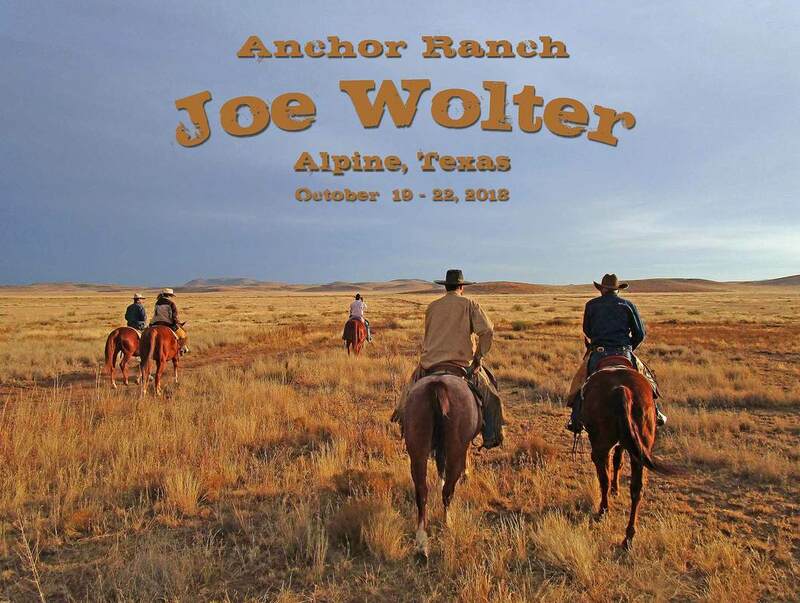 Join us for an authentic West Texas ranch experience on the historic Anchor Ranch, managed by renowned cowboy poet Joel Nelson. Spend four days riding, gathering and working cattle in the sprawling high desert of the Big Bend country. Enjoy hearty ranch meals and bed down like a cowhand or stay in Alpine, just a few miles down the road. Horsemanship, Stockmanship & Roping – you’ll get it all. Price ($1650) includes four full days of riding, a ranch-style lunch each day, along with camping, RV parking or rustic bunkhouse accommodations on the ranch. For those seeking a few more creature comforts, there are motels, restaurants and numerous other attractions in nearby Alpine. Enrollment is limited and riders will be accepted in the order deposits are received.